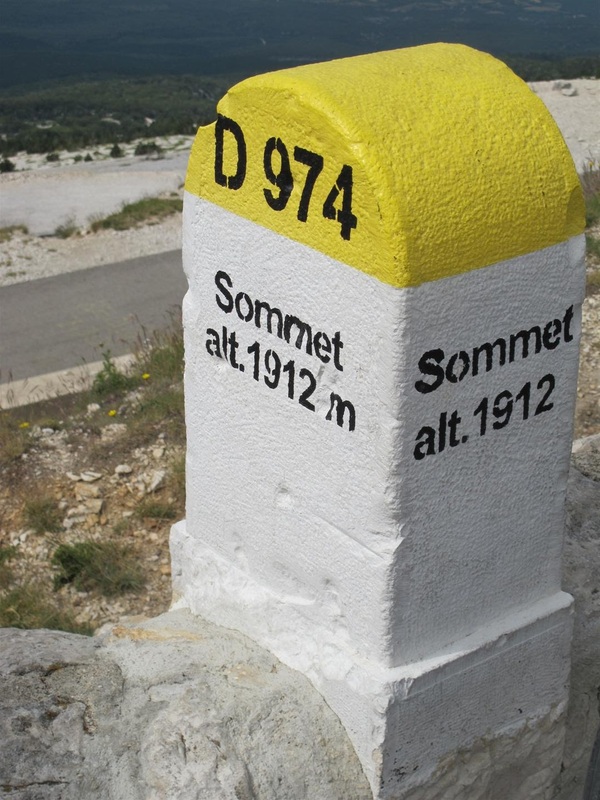 I’ve always loved the kilometer markers and summit monuments on European roadsides. They inspired me to make summit markers for the local climbs that I love best. I hoped that if I made the markers look official, no one would think it was his or her job to remove them and they just might last as a sort of inside joke for cyclists, an homage to our heritage. After some trial and error I settled on a method to make low-cost, professional-looking summit markers. I took a rectangular flower pot ($7), turned it upside down, and spray-painted it white, usually with three coats. I then masked off all but the top 3″ and spray-painted the top yellow, then added a layer of clear sealant. I ordered custom vinyl lettering from the internet ($2/marker), applied the lettering, added one more coat of sealant, and I had a reasonably professional-looking marker. 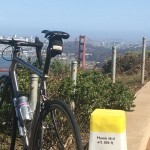 You may have seen these markers on local climbs – Hawk Hill, Old La Honda, King’s Mountain, Mt. Tamalpais, Four Corners, Twin Peaks, and even a tongue-in-cheek marker at the summit of the modest Camino Alto climb between Mill Valley and Corte Madera. I was proud of these markers and I worked hard to refresh them or replace them as required. This project was great fun for about a year and over time I improved my markers, found better locations for the pots, and started anchoring them in place with non-toxic grout to make them more permanent without damaging the environment. My secret hope was that the idea would catch on and other cyclists would start making their own markers for their local climbs. Here’s a link to a small gallery of about 20-30 photos of these summit markers. 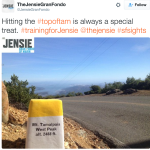 One of my happiest moments was when Jens Voigt used a photo of the Mt. 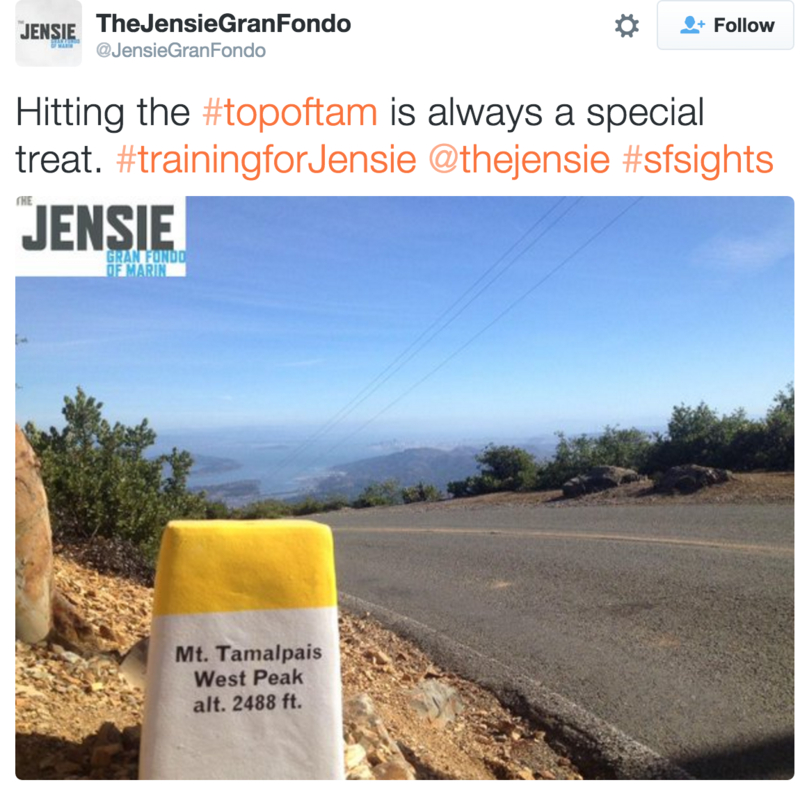 Tam marker to promote his Gran Fondo. But recently times have been tough for my little markers. They started disappearing at an alarming rate, suggesting that authorities had noticed and were taking responsibility for removing them. 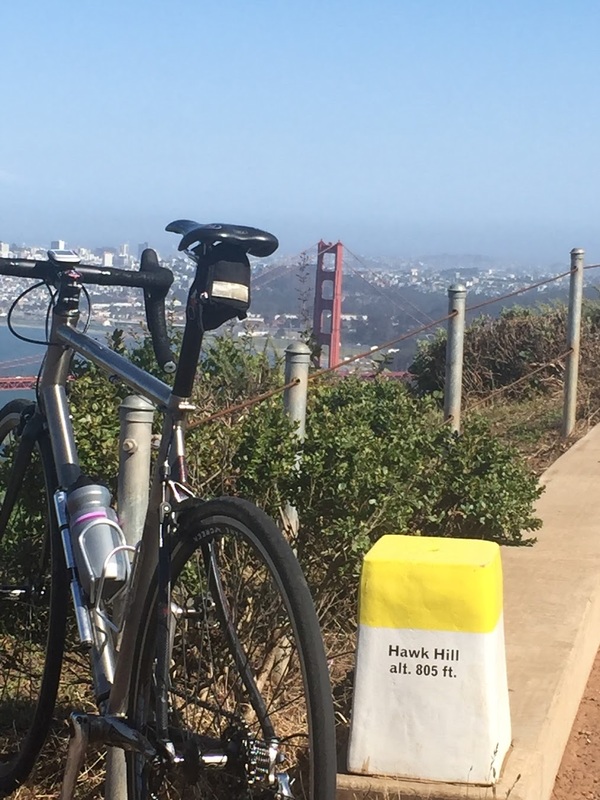 The iconic Hawk Hill marker disappeared and when I replaced it (with my best work yet at a really good location) it was removed again in just four days. I was in a fight I couldn’t win against a force vastly larger, more powerful and better funded than myself. 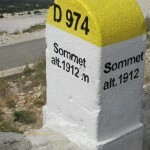 So reluctantly I’ve decided to end the summit marker project. I can’t replace the markers fast enough and I don’t want to antagonize the hardworking road crews and park rangers that do so much for us. Oh, sure, one or two markers might still be out there somewhere (if you spot one, post a photo) but in general I’m giving up. You win, United States Government. If “The Commitments” taught me anything, it’s that a great thing doesn’t have to be permanent to bring joy to our lives,, whether it’s an soul band from Dublin or an upside-down flower pot. Godspeed, little summit markers. I will miss you.